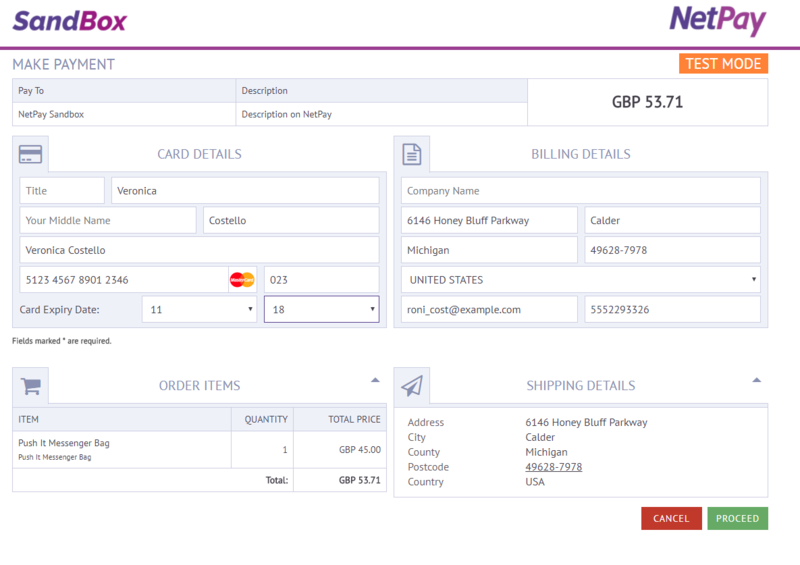 NetPay payment extension will enable your Magento store to take payments through a secure NetPay Hosted Form. At the checkout step, the customer selects NetPay as a payment method. 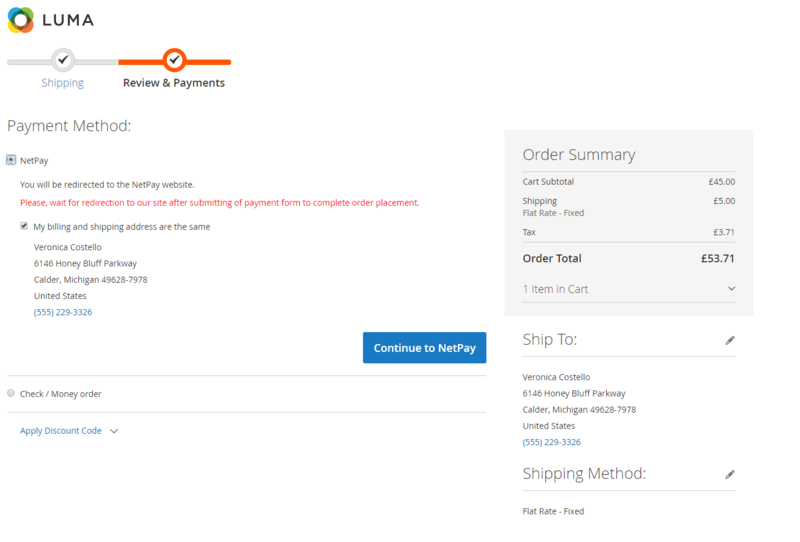 By clicking “Continue to NetPay”, Magento redirects him to NetPay Hosted Form where he fills in all the necessary payment data and completes the payment.The customer can get back to your store and can continue to shop further. Embed a NetPay payment method in your store. Provide safe payments with NetPay’s Hosted Form support. Prevent fraud transactions with 3D Security support. Replacing sensitive data with unique identification symbols. Our extension integrates NetPay Hosted From in your Magento store. 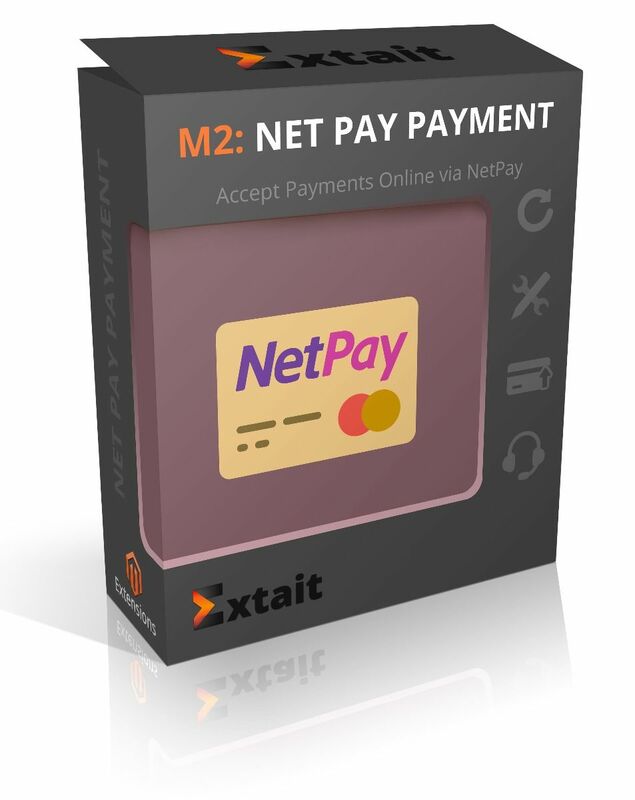 It provides a secure payment method as all customer’s debit/credit card info and payment transactions are transmitted on NetPay’s Secure Server. The NetPay system ensures maximum security and reduces the risk of card frauds. Your customers get a convenient way to pay online. And most importantly, all payments are safe. You don’t store any payment info which makes it inaccessible to hackers. Your customers will see “Pay with NetPay” icon among payment options on the final stage of the checkout. Place a message to inform a customer that he will be redirected to the hosted form after clicking ‘Continue to NetPay’ button. All payments happen in safe NetPay environment. Here a customer enters card details which are stored on NetPay’s Secure Server. On the form, the billing details can be checked and corrected, as well as order items and shipping details can be viewed. It takes a couple of minutes to adjust the module settings and get it working. 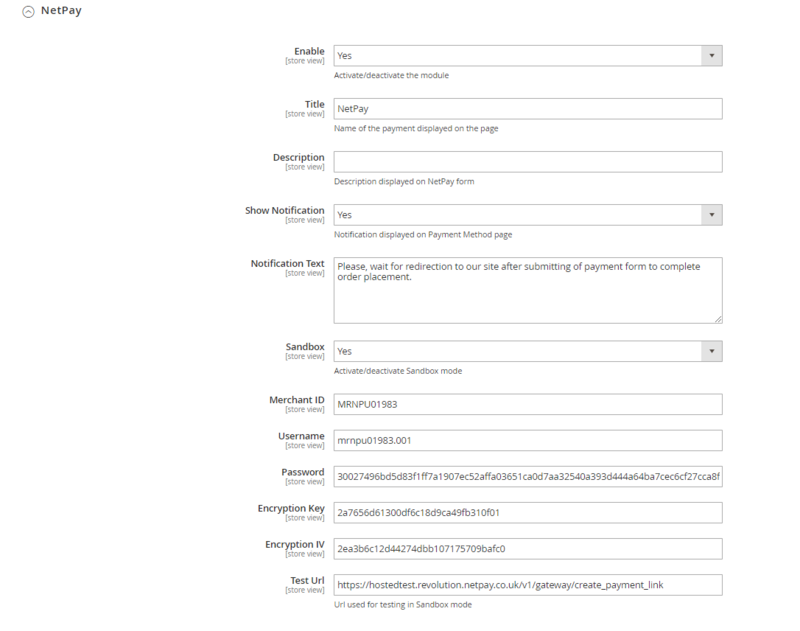 Add description which is displayed on a NetPay form. Type in notification for customers about the necessity to wait for redirection to complete order placement. Enable and disable sandbox mode. Fill in your authentication data. Used to prevent fraud in transactions with credit and debit cards online. Ensures the security of credit card transactions by replacing sensitive data with unique identification symbols.